Assorted tales of an information hoarder. Numbers have invaded our lives. Everywhere they determine the most important and valuable aspects of our lives. Just think about it. Our identity is a string of numbers on our passport. We get in touch with our loved ones by telephone, using another series. And then there’s the number of our house or apartment we live in. If you get just one digit wrong, everything falls apart. Frightening. And even worse, even though these numbers are so important, usually they’re just given to us. You don’t have a choice in the matter. At birth, the state you live in provides you with a unique personal number you just can’t escape or change, even if you wanted to. Glued to your name and date of birth is a collection of random numbers you might not even like or enjoy remembering. Nobody’s asked your opinion. It’s just no good to me. But it’s there to stay. My personal number, for example, happens to contain the number six (6). I’ve never been a fan. It’s like an incomplete number to me, a lazy eight that didn’t even bother to close up completely. It could have been another infinity symbol, not lying down but standing tall. Instead, it just hangs around, with its massive belly and its airhead. It’s no good to me. But it’s there to stay. It’s not that I’m an angry kabbalist, don’t get me wrong. There are some numbers I would save from destruction. Like the number one. Nice and solitary. One straight line to wherever. Together with the number zero, it makes every other number possible, all the complex processes of the computer I’m writing this on. Even letters, images, video. They can stay. Just like number four, the hot summer day I was born. Somehow the pointy squareness of this number comforts me. It might just be my favorite one. … I’ve recently stumbled upon is the number of bookmarks I’ve managed to collect before importing everything into my start.me account. It’s a staggering number of favorites, really. It feels like I’ve overshot the mark here. 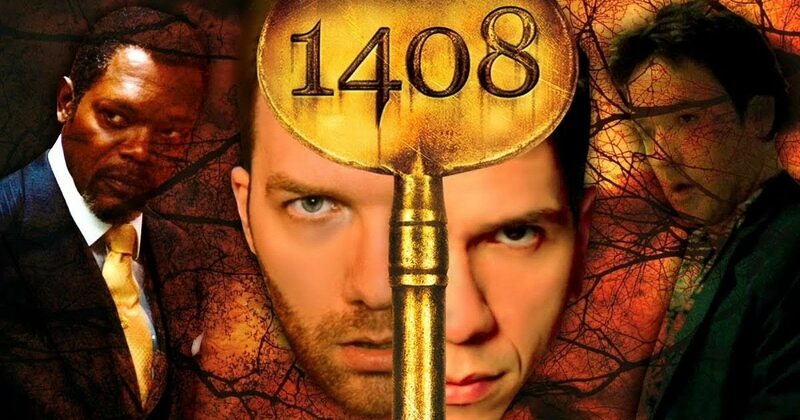 It reminded me immediately of the movie 1408, with John Cusack and Samuel L. Jackson, after a story by Stephen King. Genuine horror, taking place in a suite in the Dolphin Hotel. Brrr. This might be the reason I thought about it: the story follows a cynical writer who investigates paranormal phenomena. He likes nothing more than to expose the fraud he expects to discover. Except for this time, of course. This room is filled to the brim with real ghosts, specters, and lost souls. Much like my brand-new Startpage is packed full with old and forgotten favorites, remnants of long ago queries and uncertainties. I’m afraid to go through them, but I don’t want to lose them either. It’s horrible. This number is the number 1302. Do you know if your kids are safe online?